The 2019 Honda Civic slides into showrooms, complete with updated styling, a new Sport trim, and additional safety tech. Honda is putting the children of carpet proprietors (particularly the red kind) through college as they highlight the 10th generation Civic. The automaker has averaged a new variant every four months over the past three years. 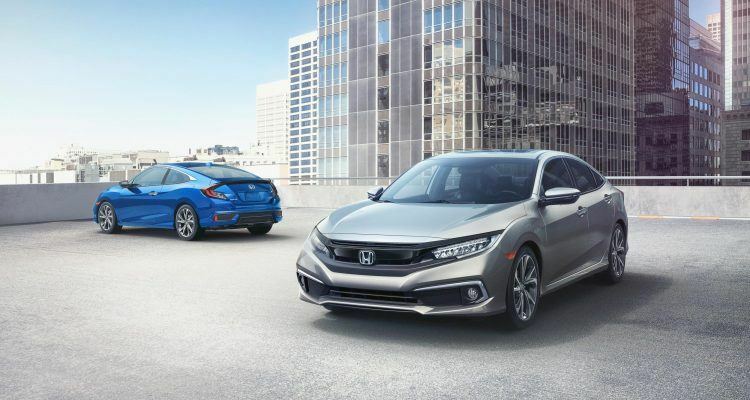 Furthermore, Honda and Urban Science retail sales data shows that the Civic is one of the top-selling cars in the United States, and the most popular car for the under-35-year-old crowd for eight of the past nine years. Honda says the Civic’s design is one of the most well-liked attributes among loyal buyers. Styling updates include a new piano black upper fascia wing, full-width front splitter, restyled lower fascia, bumper, and lower grille, and a wider stance overall. Chrome treatments include side pod accents and an additional accent on the lower rear bumper. The Touring gets new 18-inch rims while the Sport and Si trims receive model-specific styling treatments. 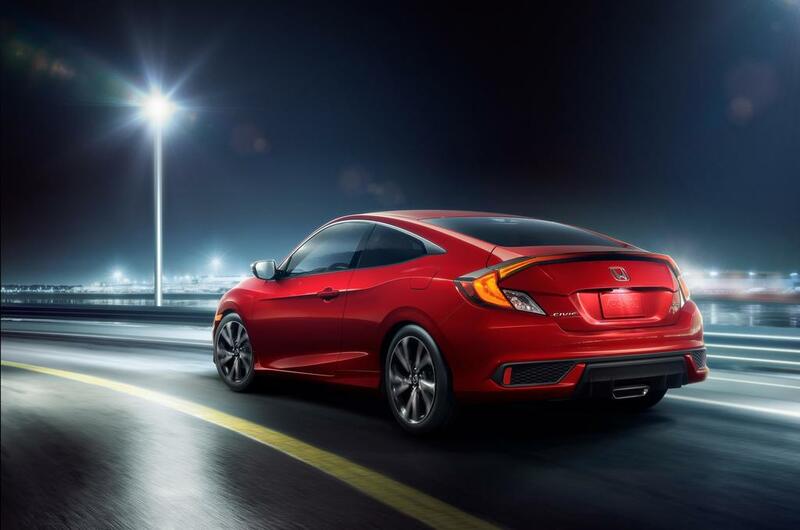 The Sport trim features a high-revving 2.0-liter 16-valve DOHC VTEC engine, mated to either a CVT with G-Shift Control or a six-speed manual transmission. Sport models receive a seven-inch display with Apple CarPlay and Android Auto. 2019 Honda Civic Coupe Sport. Photo: Honda North America. For 2019, Honda Sensing is either standard or available on all Honda cars and light trucks. Honda Sensing includes Collision Mitigation Braking, Forward Collision Warning, Road Departure Mitigation, Lane Departure Warning, and Adaptive Cruise Control. Honda has not announced pricing at this time. All 2019 Honda Civic models sold in the U.S. are produced in Greensburg, Indiana and Alliston, Ontario. The Civic’s 1.5-liter engines are produced in Anna, Ohio and Alliston, Ontario. No Comments on "2019 Honda Civic Gets New Nips & Tucks"